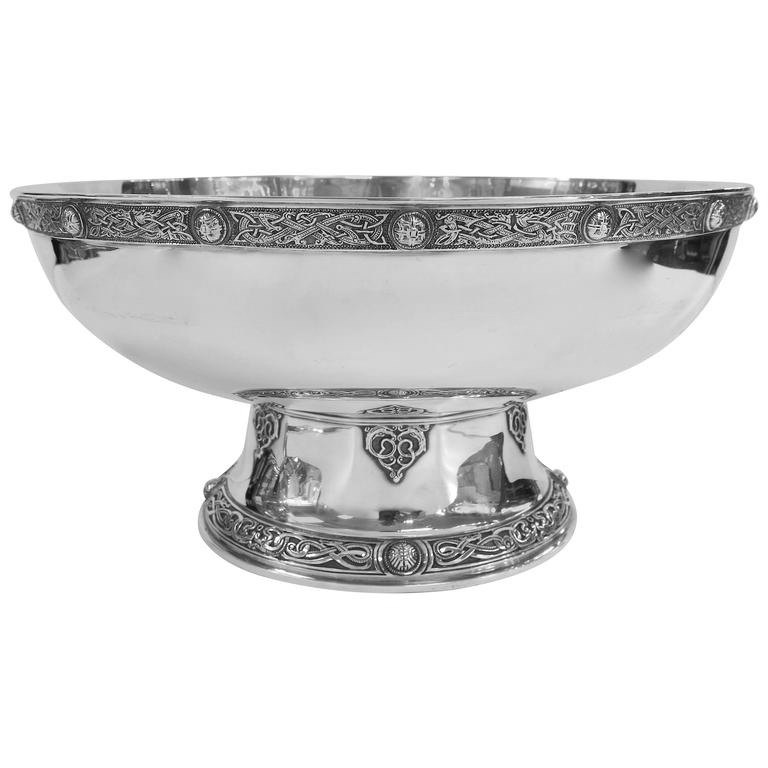 English hallmarked, sterling silver bowl with applied Celtic (sometimes referred to as a Lindisfarne) designed rims on top and base of bowl. Made by Wakely & Wheeler. Hallmark For London 1934 with the special silver Jubilee Hallmark. The bowl measures 12.25" diameter at the top, and the foot 7.25"diameter. Bowl is 6.25" high. An exceptional quality bowl. Very distinctive and practical, for fruit, roses, food, ice, bottles etc. Also would make an impressive presentation piece.